Product proposal capabilities | Core Competence | Yohkoh Bussan Co., Ltd.
Yohkoh Busssan Co., Ltd. is a trading company directly affiliated with Sanyo Special Steel and its world leading technologies. Leveraging this strength, we carry "Steel You Can Count On" that offers various characteristics and functions. This makes it possible for us to propose materials and fabricated products that satisfy the needs of customers from a broad range of industries and sectors. Yohkoh Bussan's greatest strength can be found in its extensive lineup that can meet the needs of customers from myriad industries. 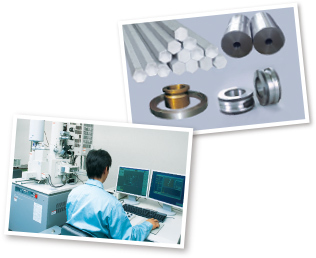 From engineering steel to stainless and heat resistant steel, tool steel, bearing steel, and high nickel content alloy, we carry every type and grade of special steel manufactured by Sanyo Special Steel. Additionally, we carry bars, seamless pipes as well as wire rods, flat bars, formed and fabricated products, and metal powders. We are also able to flexibly respond to various requests for quantity and dimensions. We leverage Sanyo Special Steel's as well as our own steel fabrication technologies and the proprietary technologies and facilities of our outsourcing partners to offer a host of processing and treatments to suit customer needs, including heat treatment, bending, cutting, and drawing. Yohkoh Bussan can easily accommodate requests for order-made products with dimensions and mechanical properties outside of JIS, ASTM or other standards. We have extensive knowledge of the production capacity and fabrication capabilities of Sanyo Special Steel and its partner companies, which enables us to provide quick and accurate estimates, from manufacturing feasibility to delivery and cost. 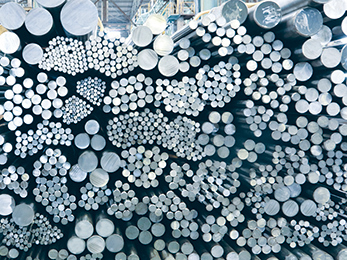 We can also leverage our network and proposal capabilities to build win-win relationships that connect customers to customers and customers to Sanyo Special Steel Group companies. This allows us to make customer products and technologies to a wide range of markets.